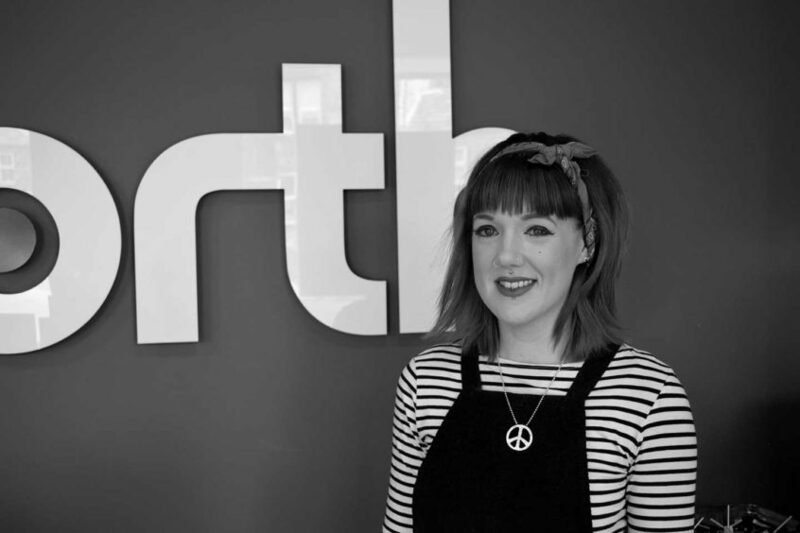 Welcome Lisa Cooter – the new stylist joining the North For Men team. As some of you may know, Alex is currently on maternity leave, and Emma will soon be joining her when she takes her maternity leave in July – we wish them both well and look forward to their return. We have therefore made the decision to recruit a new member to the team, so it is with excitement and great pleasure that we introduce you to Lisa Cooter! Lisa is a highly experienced and talented men’s hair stylist who, we are pleased to say, has made the move from the other side of the Pennines to join us here at North For Men barbers in Guiseley. Lisa starts with us on the 18th April and we know she’ll fit right in with her quirky style and warm personality. We’re excited to have coaxed Lisa away from leading men’s hair salon, Flanagans, in central Manchester where she has been a firm favourite for the past 8 years. Lisa specialises in scissor cuts, both short and medium length, and is renowned for her ‘Manchester mod-style’ cuts – who knows, maybe they’ll catch on here in Guiseley! With NVQ Level 2 & 3 qualifications and over 12 years of experience, Lisa brings a wealth of men’s hair cutting experience with her to the team. Lisa lives in Shipley with her partner and, like the rest of the team, enjoys a good gym session after work. She’s also partial to rock music (Avenged Sevenfold, Blink 182, System of a Down to name a few) and likes a good live gig or festival (as long as it doesn’t rain too much, that is!). We’re sure she won’t miss her commute over the M62 every day and will perhaps get to spend more time cooking – we sense a team bake-off coming! We know Lisa will make an excellent addition to the barber shop team here at North, and we hope that all of you, our customers, will give her a warm Yorkshire welcome too! Adding one more “Lisa” to the team may cause some confusion, so please be sure to specify whether you would like your stylist to be Lisa North or Lisa Cooter when making your booking. Welcome to team North, Lisa. The region’s strongest barber collective has just got even better!